From Sapa town center to Cat Cat Village is only 2 km. 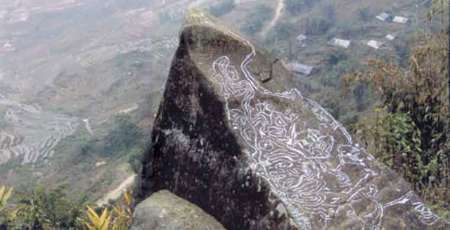 It is an old village of the H’Mong people who has preserved many traditional crafts such as flower planting, linen weaving and making jewelry. In particular, this place retains quite a lot of unique customs that don’t or no longer exist in other regions. Through the looms, the H’Mong people create brocades with many colors and unique patterns that simulate plants, flowers and birds ... Associated with the process of weaving cotton and linen fabrics, the stage of dyeing and pattern printing, especially brunswick green dyeing techniques which use herb ash water and forest tree leaves, are also the highlight in Cat Cat village.The finished cloth is polished by rolling the cloth with a round log on a flat stone with wax applied on. The first stop for visitors to Ta Phin is to visit the monastery, a unique ancient architectural in Western style built in the late 19th century, still retaining its ancient appearance. 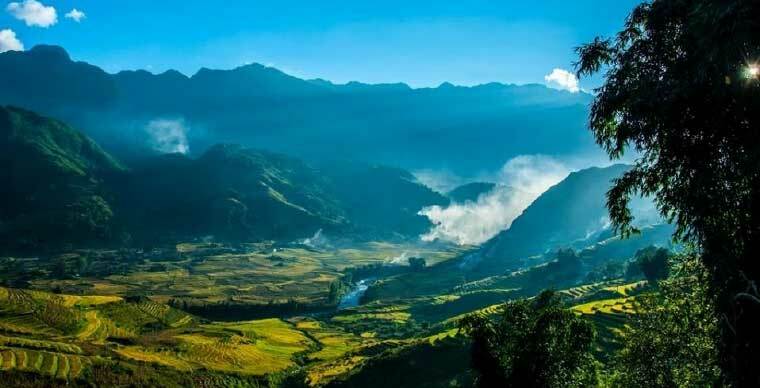 Looking to the southeast, opposite the monastery is Ham Rong mountain with the spectacular beauty lying on majestic terrain with undulating rocks, bearing many different shapes, emerging as the shape of a giant dragon rising, stretching its body covering a whole area of Sapa. 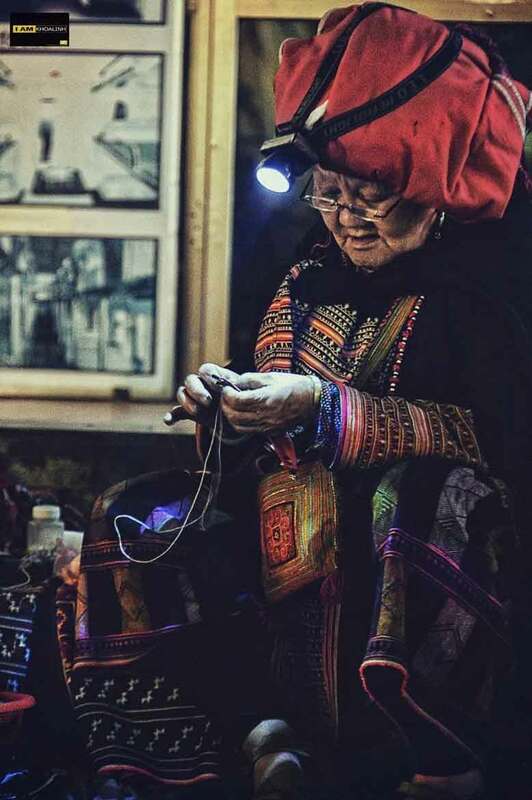 Continue the journey on the paved road, visitors will visit the brocade club of the H’Mong people and Red Dao people where visitors can watch the sprawling colors of traditional costumes. Along with the brocade club, indigenous bath products are also being restored and developed. Currently, in Ta Phin village, there are 18 Dao households contributing capital to establish joint stock companies specializing in producing and trading indigenous bath products. In addition, they also built baths for the needs of tourists bathing in barrels on the spot. 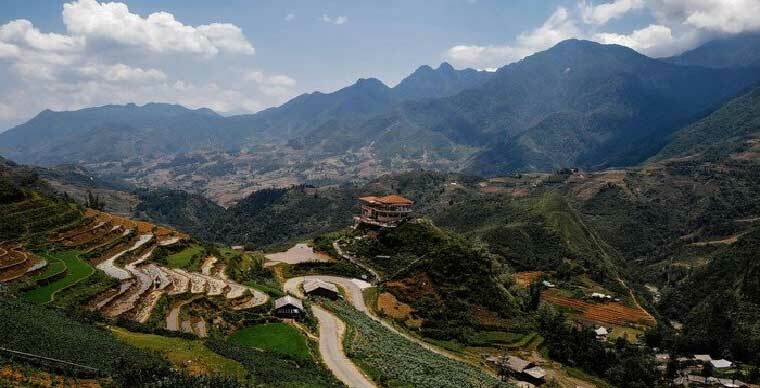 Follow the National Highway 4D to the southeast, about 8 km from Sapa town to Ta Van Giay village. Here, visitors will have the opportunity to learn more about the lifestyle of the Giay people. The road to Ta Van Giay village is small, narrow and pretty muddy. 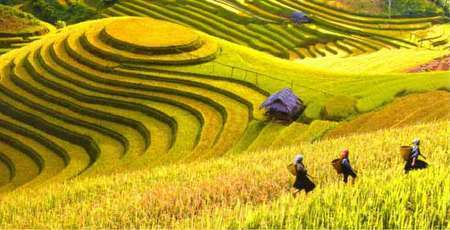 On both sides of the road are fertile terraced fields adorned with the green of corn and young rice. The Giay people have the main occupation of growing rice. In addition, they also forge tools and carve on silver. They live in both stilt houses and normal houses with the middle space being a solemn place, setting up ancestral altars and receiving guests. 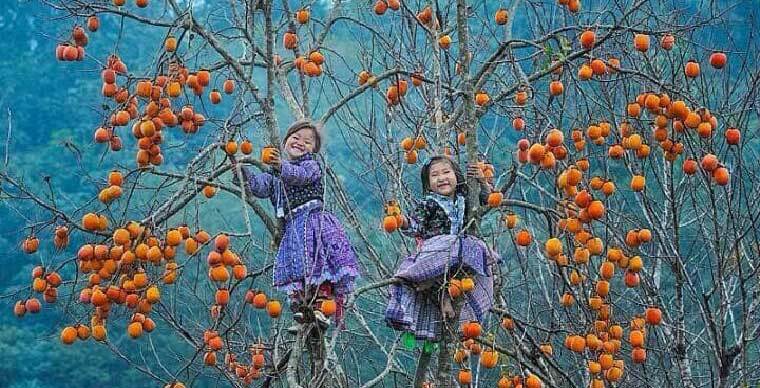 Giay people have a rich culture with ancient stories, poetry, proverbs, riddles, and children songs. 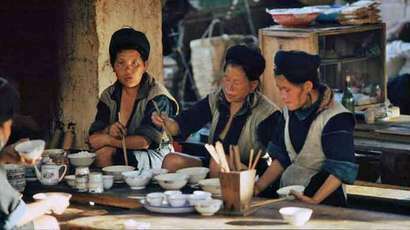 The costumes of Giay people are very simple: women wear ankle length pants and; hair braided in a scarf and often wear bags with embroidery patterns; men wear blouses with chest-split, round neck, fabric button, pants and head-wear. Not so cold as in Ta Phin or Ta Van ... the weather in Ho Village is warmer. 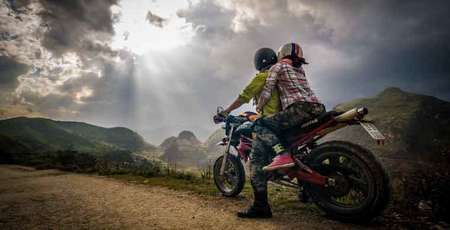 Cars keep running on the windy roads, with a mountain on one side and the abyss on the other, until it changes into a yellowish-red tinge of leaves, of the Hoang Lien National Park and the high terraced fields. 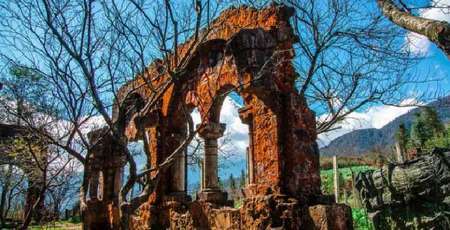 Just going a little further, you will meet an abandoned stone-built house along the road, next to it is a stilt house and in front of where sells brocades, candies and soft drinks. When you see foreign tourists sitting to rest, you know you are in Ho Village. Stoping at Ho village, you can live in a cozy and intimate atmosphere with a native family. In the morning, you will be guided to visit Hoang Lien National Park, which has an extremely rich flora and fauna system. Because the climate in Ho Village is warmer than that of other areas (18 - 25 degrees Celsius), visitors can swim in the Lave stream, watching the majestic Da Nhay waterfall. 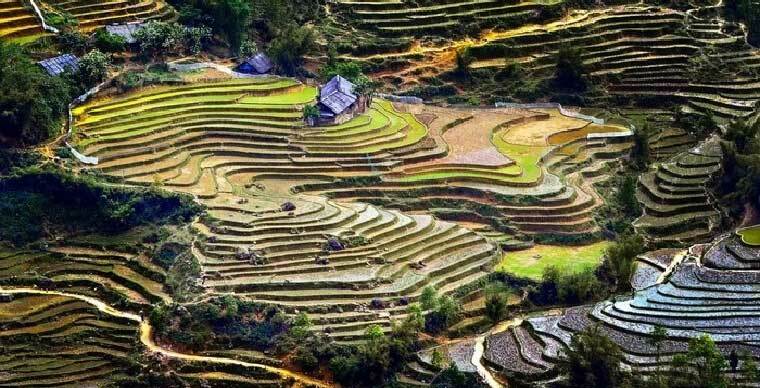 Sin Chai village, San Sa Ho commune, about 4km from the center of Sapa town, a village has not been "tourismize" yet which still retains its original untouched character. This is the village of the Black H’Mong people with a population of about 1400 people. In addition to growing rice and hybrid maize, Sin Chai villagers also choose gentle mountains to grow more cardamom, a significant source of income in this ancient valley. 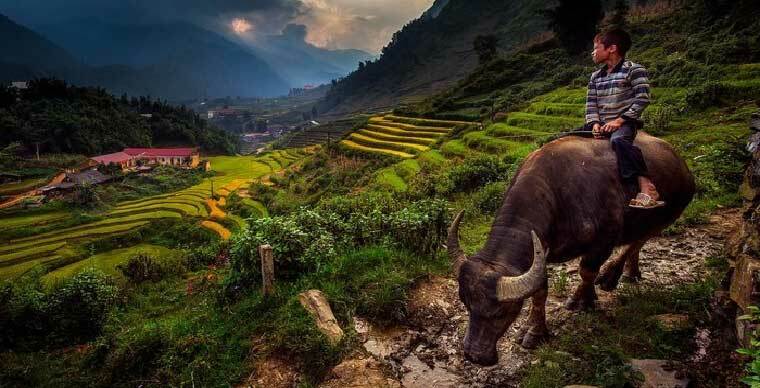 The life of the Black H’Mong people is simple on the harvest season, they grow rice and cardamom, and at the end of the season, they only go to the forest to collect firewood and raise buffaloes and horses. H’Mong women do sewing all-year-round. They often have their own fields to grow linen to get fabric and cloth to make clothes for their family and a wedding dress for themself. 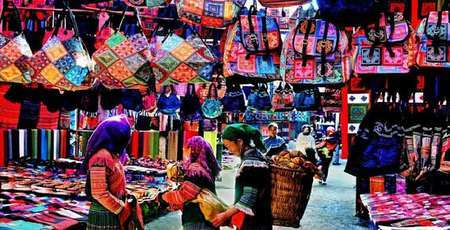 Handmade products of Black H’Mong people in Sin Chai are never sold externally.